None of us welcomes emotional pain and heartbreak. Yet, on this earth, we know we will encounter trials and pain. Often, that pain is experienced in our marriage. We can get really frustrated that God doesn’t seem to be answering our prayer to “fix” our marriage or husband! But Jesus never promised he would take away all our problems during our temporary stay on earth. In fact, he said in John 16:33 “in this world you will have trouble.” Fantastic. However, if you look closely, you will discover two rays of sunshine in the midst of your darkest hours. First, Jesus finishes that verse in John 16:33 by saying, “But take heart! I have overcome the world“. That is a great reminder that though we will have temporary troubles here, Jesus has prepared an eternal destination for us that will be completely free of heartbreak and suffering. It will be glorious beyond our imagination! 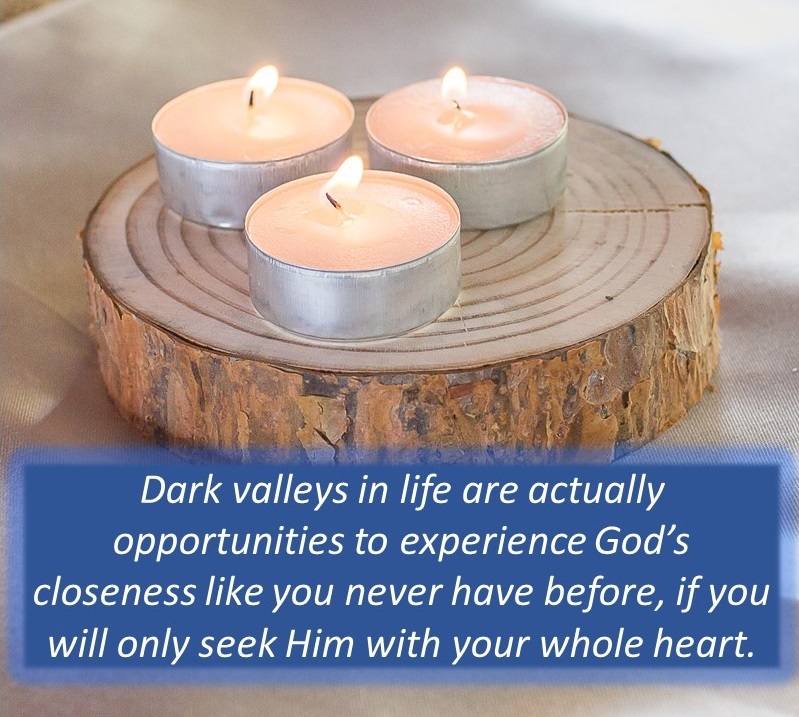 Secondly, and here’s the point I really wanted to make….it is at the time of our biggest heartbreak that we often experience God’s presence in a way we’ve never known before. When we choose to cry out to him and seek him during our time of grief and suffering, he promises to come close. Very close. Psalm 34:18 says “The Lord is close to the broken-hearted and saves those who are crushed in spirit“. If you’re in the middle of a really difficult time in your marriage, don’t miss the opportunity to draw close to God and encounter his love, compassion and comfort at a spectacular level! ← How Facebook can destroy your marriage!